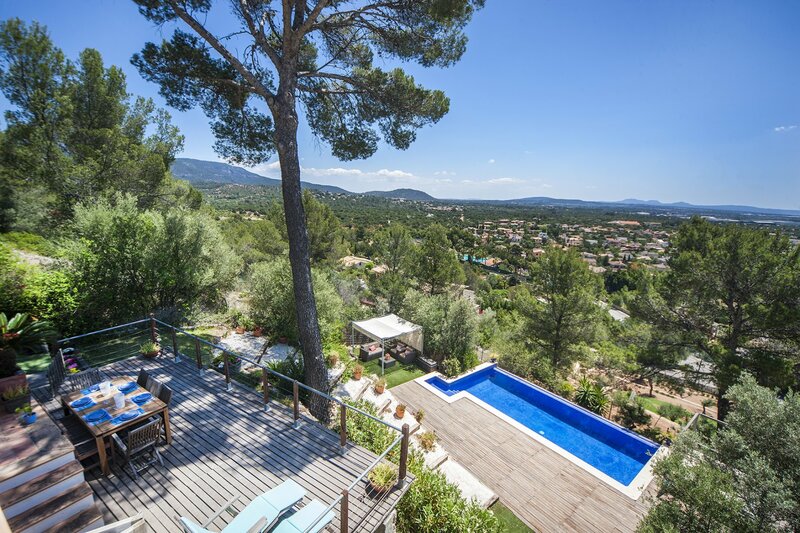 Villa Galileu is situated in the lovely residential neighborhood of Palmayola only a few hundred meters away from the Son Termens golf course and a short drive from the capital Palma. 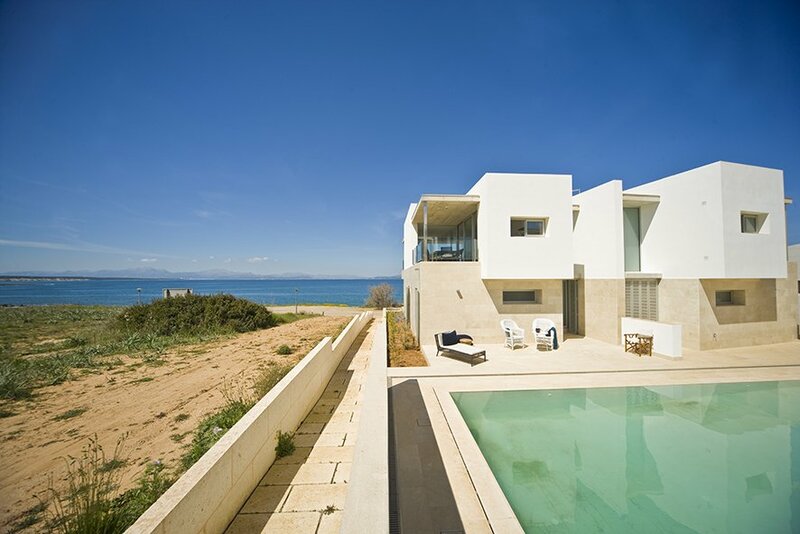 The views from this architectural interesting villa are breathtaking. On a clear day you can see Palma and the sea. At less then 1 KM from the property you will find everything you need including a supermarket, restaurants, bars, a pizzeria, ATM’s and even a health centre. In the neighborhood there are tennis- and paddle courts for you to enjoy. Due to it’s location on a hill the house is build on several levels all connected by a wide staircase. On the first level there is a large eat-in kitchen with breakfast bar, here are also two bedrooms that share a bathroom. A few steps down is the official dining area that seats up to 6 persons comfortably. A few more steps down is where the living room with air conditioning is located and offers direct access to the terrace and garden. On this same level you’ll find the master bedroom with en suite bathroom. The garden is lovely, right next to the living room there is a large wooden deck with a lounge area, a large dining table and two deck chairs. The views are beautiful from here. A few more steps down is where the lawn area and the large 4 x 8 meter infinity pool surrounded by a wooden deck are located. Here you will find another lounge area overlooking the swimming pool. The total size of the plot is 1500sqm and the living space in the house 200sqm. 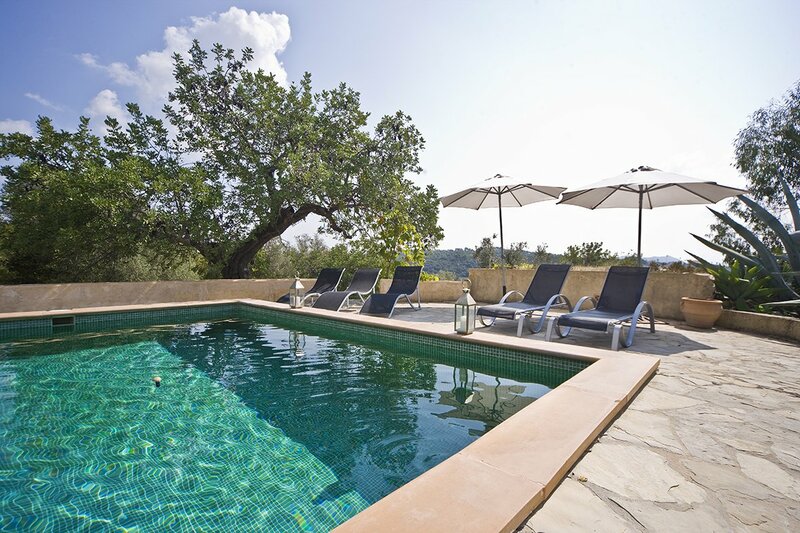 We really recommend this villa to families traveling with children, the kids will love the bedroom with the wooden house where they can sleep in. Also there are many many toys from them to play with. * Please note that there is a safety net that can be put around the swimming pool in case you are traveling with small children.